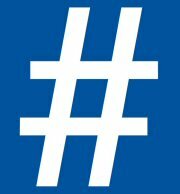 NEW YORK NY – Greater New York-based business development coach Dawn Doherty contends driving more clients, referrals and prospects to your real estate practice might be as simple as a #hashtag. Doherty and Boston area Instagram marketing coach Sue B. Zimmerman collaborated last month (June 2, 2014) on an article about why and how real estate agents should use Instagram – the popular photo-sharing social media site – to establish themselves as “go-to experts” in almost any target market. They particularly emphasize creating a “hashtag strategy” of keywords for prospects and clients to follow. The pair also finds value in geotagging and referring to other influential leaders as ways to enhance social media reach. Find Zimmerman’s blog article, and Doherty’s embedded video, here.